Summer is underway, and we’d like to hear from you. What is your transportation diet these days? How would you describe your mix of personal transportation? Do you primarily drive, walk, or use public transportation? How often do you bike, use a skateboard or even get around by boat or plane? Perhaps things change depending on your schedule. For instance, you drive in one or two days a week, and share a ride the rest of the time. Or, you’ll only drive if you have an early meeting. Let us know. Knowing how you get around will help us frame our future coverage. We want to know whether our audience is relying on cars, buses, streetcars, their two feet, etc. We’ll publish your responses and we’d love it if you’d include a photo of a video of your commute or leisure travel. Please tell us your name (not a screen name, please) where you live, and if there are any roads you regularly take (for instance, Interstate 96, Milwaukee Avenue, Canal Street, and so on) or transportation systems that you regularly use, like the New York subway, the Boston T or rapid bus lines. 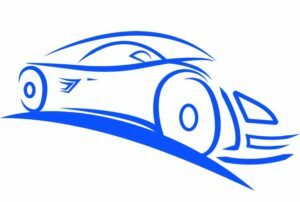 Send comments, photos and videos to curbingcars@gmail.com. Comments Off on What’s Your Transportation Diet? Texas is the country’s second-largest state in terms of population, with an estimated 27.4 million people. It ranks only behind California. And, it has long been known as a place where entrepreneurs are celebrated. So, why is there so much bad blood between Texas and Tesla founder Elon Musk? This past week, Texas brought back a $2,500 tax incentive for the purchase of an electric vehicle. That means Texans can receive up to $10,000 in tax breaks, including federal incentives, for purchasing a car that plugs in rather than runs solely on gasoline. But, Texans will have to purchase something other than the country’s most famous electric vehicles. The incentive only applies to vehicles purchased from car dealers in Texas, and Tesla only sells online. It’s tried twice to get the Texas Legislature to give it permission to operate the Tesla way, but it simply can’t get a break. Just a few weeks back, a Tesla-backed proposal to allow any automaker to sell to consumers failed to move forward..
To be sure, Texas has showrooms in Texas, as well as a service center, and there are Teslas on the road. But to own a Tesla in Texas, owners have to go through a multi-step process that includes buying the car online, paying state sales tax to Texas, registering the vehicle in Texas, and arranging financing if the owner isn’t paying upfront. 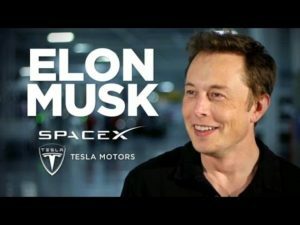 On the surface, the decision by Texas to keep out Elon Musk’s company makes no sense. He’s one of the world’s most notable figures, just the kind of go-getter that Texans admire. If the legislature wants to give people a break to buy electric vehicles, why wouldn’t it allow Texans to buy the buzziest ones? 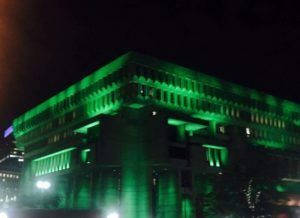 Boston City Hall was lit green on Thursday night. President Trump’s decision last week to withdraw from the Paris Agreement was not a surprise. He talked about it many times during the 2016 election campaign. But the outraged reaction to it from every corner of the world showed that the move was a shock. Rather than join the global effort to address climate change, the U.S. now will be on the outside looking in. Before the U.S. withdrew, 196 countries agreed to abide by a deal in the making since 2009. The implications couldn’t be greater for the future of transportation. Here’s why. Unpredictability. Under the Paris Agreement, car makers, transit providers and commuters all knew what to expect: efforts to reduce global warming by 1.5 degrees centigrade. One of the simplest ways to do that is to raise fuel economy standards. By using less fuel, cars emit less carbon dioxide pollution. These mayors represent 32 million people in the country’s biggest cities, including New York, Los Angeles, Houston, Chicago, Austin, Des Moines, and many more. Marty Walsh, the mayor of Boston, responded by lighting Boston City Hall in Green (see the photo above). “We will intensify efforts to meet each of our cities’ current climate goals, push for new action to meet the 1.5 degrees Celsius target, and work together to create a 21st century clean energy economy,” the mayors declared. Presumably, this puts companies in an unpredictable position. Cars whose emissions comply with federal standards might not meet those embraced by the Climate Mayors. Some mayors may adopt stricter rules than others. An exception to the group: Detroit. The Curbing Cars Podcast, Episode Two: How Do Millennials See The Future Of Transportation? This week, the Curbing Cars Podcast returns, co-hosted by Executive Editor Micheline Maynard and our intern, Colin Beresford. In this episode, Micki and Colin discuss the big change at Ford Motor Company and Colin talks about his ride on Detroit’s QLine. 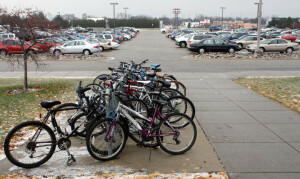 We also hear how millennials view car ownership, now that they have all kinds of transportation options. We also talk about the mess in public transportation and the problems faced by Uber. 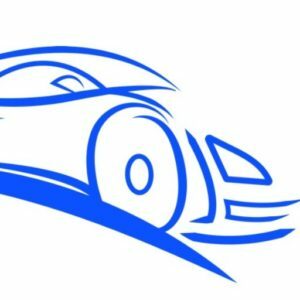 Curbing Cars plans to make its podcast a monthly feature. Find it here, on SoundCloud and on iTunes. Thanks to our Kickstarter backers who made this week’s episode possible. If you’re interested in underwriting future podcast episodes, get in touch with us at CurbingCars@gmail.com. We’ll mention you at the end of every show. Comments Off on The Curbing Cars Podcast, Episode Two: How Do Millennials See The Future Of Transportation? Earlier this month, the Curbing Cars project returned to bring you original journalism about the future of transportation. On Monday, the Curbing Cars podcast returns, too. It’s our holiday treat to you. We’ll be talking about the stories we’ve covered this past month — and give you some extra insight. Colin Beresford joins me to discuss the big upheaval at Ford, Detroit’s new QLine, the issues faced by Uber and the big mess in big city public transportation. You’ll also hear what a millennial — namely Colin — thinks about owning an automobile. We’re hoping to make the podcast a regular monthly feature. And, if you’re feeling extra generous, we’re looking for someone to foot the bill. We’d love to find an underwriter to pick up the cost of the studio time we need to make the podcast sound terrific. Feel free to email us at curbingcars@gmail.com for more information. Meanwhile, listen to the first-ever Curbing Cars podcast from a few years ago. You’ll hear Mark Remillard, former Curbing Cars intern, who is now an anchor and reporter at ABC Radio in New York. And, join us on Monday. We’ll post the podcast here, on SoundCloud and on iTunes. Curbing Cars is a crowd-funded, independent journalism project. The more money we raise, the more journalism we can produce. We’re grateful to the backers of our two Kickstarter campaigns. The first one produced the Curbing Cars eBook, which is the best-selling eBook in the Forbes Signature Series. The second is paying for the weekly newsletter that we began sending to our subscribers this month. And, we’re now beginning to get contributions from people who missed out on our latest Kickstarter, but want to help. Would you like to be among them? We have some thank you gifts. For a $10 donation, receive the Curbing Cars Newsletter on Sunday night, before it is delivered to other subscribers on Monday morning. For a $75 donation, receive a copy of the Curbing Cars eBook, published by Forbes. For a $500 donation, a Curbing Cars staff member will brief your team or organization about the future of transportation (subject to availability). If you would like to support Curbing Cars via check, email us at curbingcars@gmail.com, and we’ll share our address. Feel free to share any suggestions for obtaining grants or other funding, at the same email address. Crowd funding is in our DNA. Our first Curbing Cars Kickstarter was successfully funded on Aug. 12, 2013. Thank you to our 124 donors who helped us exceed our goal. Our second Kickstarter exceeded its goal on April 18, 2017. We’re grateful to our 59 backers, who now receive their weekly newsletter each Sunday night. You can be among them. Click the “Donate” button above. We’d love to have your support for our independent journalism. Thank you. Among Detroit auto companies, Ford Motor has been the most vocal about the need to adapt to the new future of transportation. Its executive chairman, Bill Ford Jr., has talked for years about the need to balance transportation modes with protecting the environment. The company has taken office space in a shopping mall near its Dearborn, Mich., world headquarters for an effort to come up with new ideas. Unfortunately, its investors have not been convinced Ford was moving fast enough. Ford shares have fallen nearly 40 percent since 2014. And now, that perception has cost CEO Mark Fields his job. Ford announced Monday that Fields will be replaced by James Hackett, who has been in charge of Ford Smart Mobility, the new division that is tasked with the company’s efforts on self-driving cars, ride sharing and everything to do with mobility. The swift action, which was barely rumored for a week, puts mobility front and center among Ford’s priorities. Under the old rules by which car companies played, Fields should have had a solid grip on the company’s operations. Ford, like other Detroit carmakers, has enjoyed recent record profits based on strong sales of pickups and sport utility vehicles. It even posted a $2 billion profit last year in Europe, long a sore spot. In its first week of operation, the QLine carried nearly 50,000 riders, averaging 7,140 riders daily, well surpassing the operators’ goal of 5,000 riders a day according to M-1 Rail, which operates the system. The streetcar system was funded by public and private monies with hopes of expansion in the future (there are no concrete plans that detail where the streetcar system may go in the future). There are six streetcars ready for operation–each can seat 34 people and hold 125 people–all of which can be used at times of high-ridership. The QLine planned to offer free rides for its first week of operation. But late last week, it announced that rides will be free until July 1. The operators will use that time to work out the bugs, and capitalize on the public’s interest in the new light rail system. Join our Colin Beresford for a test drive of the QLine. Public Transportation Is A Mess. How Can It Be Fixed? New York. Toronto. San Francisco. Chicago. Great cities, with one thing in common. Their public transportation systems are a mess. You probably know Richard Florida’s name. And if you don’t, you certain know the phrase he popularized: the Creative Class. In his 2002 book, The Rise of the Creative Class, Florida said that cities’ fortunes could be revived by appealing to smart, talented people — entrepreneurs, technology experts, artists, and creators of all kinds. These innovators could lead the way in putting cities back on their feet. His idea worked. The only problem was, it left a lot of people behind. Now, Florida is back with his latest book, The New Urban Crisis. In it, he says that by ignoring the working class, service class and essentially the middle class in general, America’s cities are in big, big trouble. Some of them could be headed for confrontation well beyond what the Occupy movement generated. Florida appeared before Ann Arbor SPARK, an conomic development group in Ann Arbor, Mich., last week, where I got a chance to catch up with him. He says one of the biggest problems that cities face is the deterioration of the ways people get around. “Once a metropolitan area gets above 5 million people, the old way of growing, with single family homes and cars, seizes up. That platform of economic innovation will no longer work,” Florida says. Comments Off on Public Transportation Is A Mess. How Can It Be Fixed? Curbing Cars is getting back on the road. Beginning Monday, May 1, we’ll publish a weekly newsletter with original journalism about the future of transportation. We pick up where the internal combustion engine leaves off — unless that engine is in a self-driving vehicle. Sign up for the Curbing Cars Newsletter now so you won’t miss anything. Email us with tips or ideas at curbingcars@gmail.com. We especially want to hear personal stories about the way you’re using all types of transportation. And, tell us if there’s a transportation debate going on where you live. We may come and cover it! We’d also love it if you’d follow us on Twitter @curbingcars and on Facebook at Curbing Cars. We recently completed our second successful Kickstarter. But, we’d welcome your contributions. They all go to support our independent journalism. See the donation link in the sidebar. Be sure to check our site often for updated information and resources about all the ways we get around. And come back Monday to see us get back on the road.